We are excited to release a major update to the SAP HANA on AWS Quick Start that supports Multi-AZ, single-node configurations with high availability. 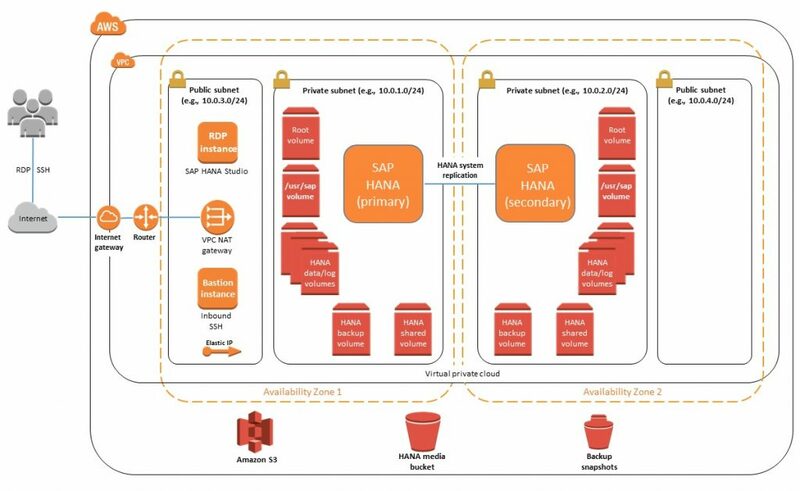 The Multi-AZ option uses two Availability Zones (AZs) for the SAP HANA environment on Amazon Web Services (AWS). It provisions two SAP HANA servers—primary and secondary—in separate, private subnets and configures them for high availability. You can choose to create a new virtual private cloud (VPC) for your deployment, or provision the SAP HANA servers in your existing infrastructure. The deployment takes about 35 minutes. The Multi-AZ, single-node, high-availability architecture is based on SUSE Linux Enterprise Server (SLES) High Availability Extension (HAE), which is part of the SLES for the SAP operating system. This Quick Start supports a performance-optimized setup, where the SAP HANA primary and secondary servers share the same instance size and other characteristics, and use synchronous replication mode. You can also choose a Single-AZ, single-node, or multi-node architecture, as with the previous version of the Quick Start. SAP is an AWS Partner Network (APN) Advanced Technology Partner with AWS Competencies in both Big Data and Government. They also hold the AWS GovCloud (US) Service Delivery designation. AWS Quick Starts are automated reference deployments for key workloads on the AWS Cloud. 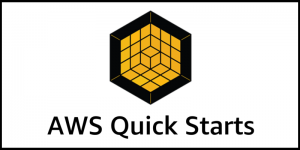 Each Quick Start launches, configures, and runs the AWS compute, network, storage, and other services required to deploy a specific workload on AWS, using AWS best practices for security and availability. The SAP HANA on AWS Quick Start helps you deploy fully functional SAP HANA systems on the AWS Cloud, following best practices from AWS and SAP. This Quick Start supports R3, R4, and X1 instance types, which offer up to 3,904 GiB of instance memory to boost the performance of large-scale, memory-intensive SAP HANA workloads on AWS. X1 instance types are powered by up to four 2.3 GHz Intel Xeon E7 8880 v3 (Haswell) processors. In addition, X1 instance types offer up to 25 Gbps of network bandwidth and up to 14 Gbps of dedicated bandwidth to Amazon EBS at no additional cost. Figure 1 – Multi-AZ, single-node architecture with high availability. SAP is an APN Advanced Technology Partner and AWS Competencies Partner. They help companies of all sizes and industries run better. From back office to boardroom, warehouse to storefront, desktop to mobile device, SAP empowers people and organizations to work together more efficiently and use business insight more effectively to stay ahead of the competition.